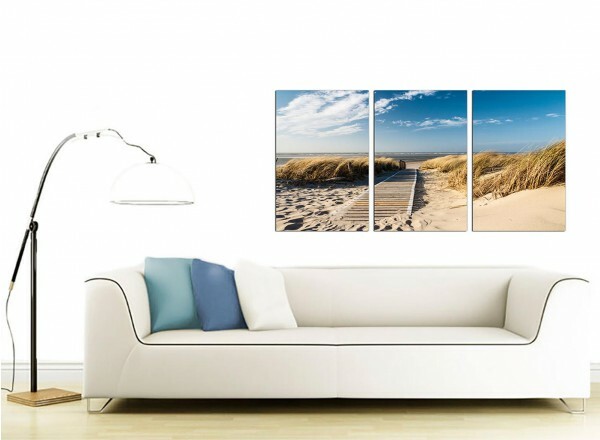 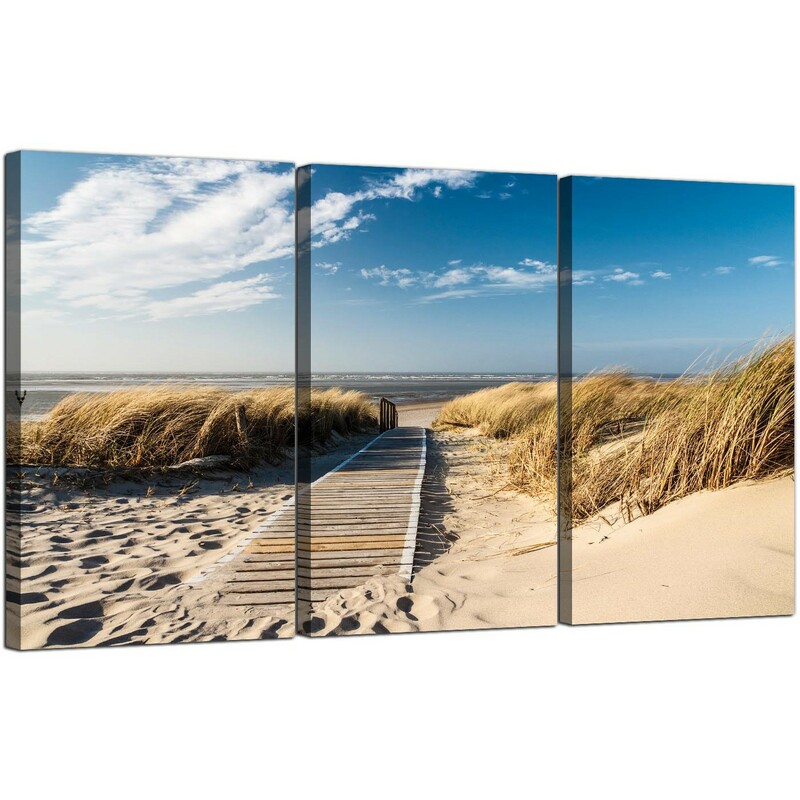 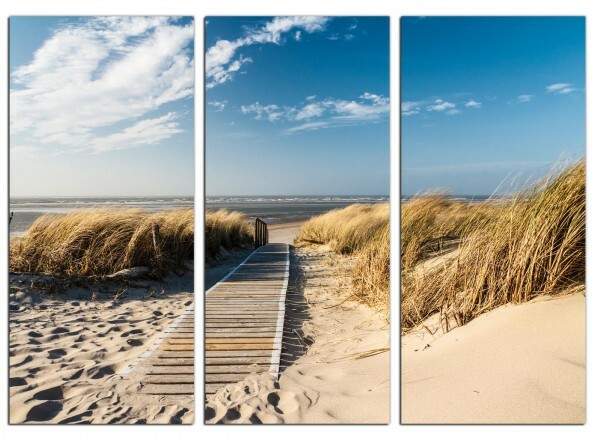 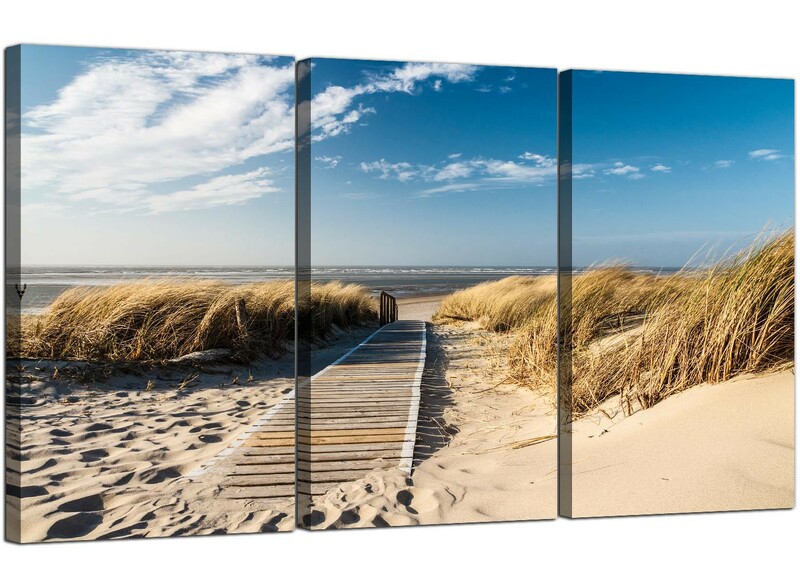 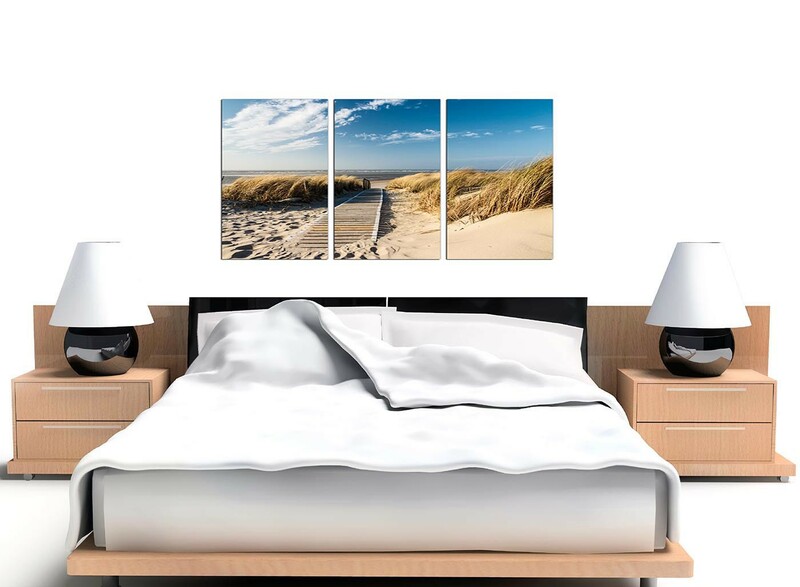 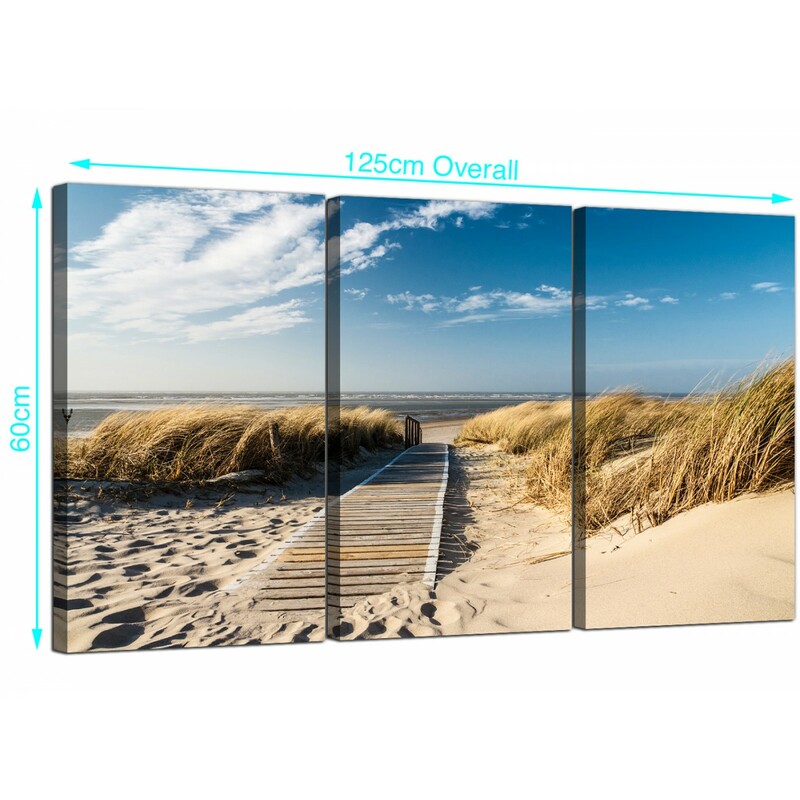 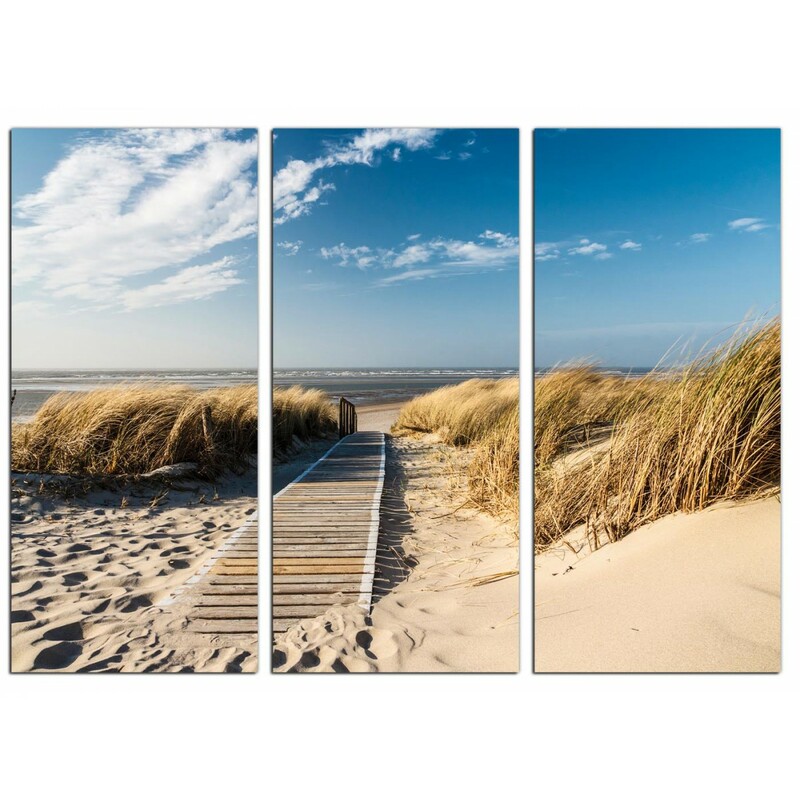 Cheap canvases of a boardwalk leading through sand dunes to the beach and sea. 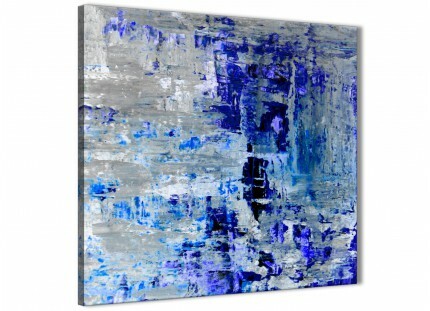 A large blue up to the minute set of 3 canvas prints. 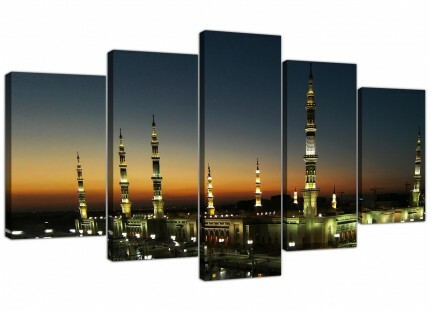 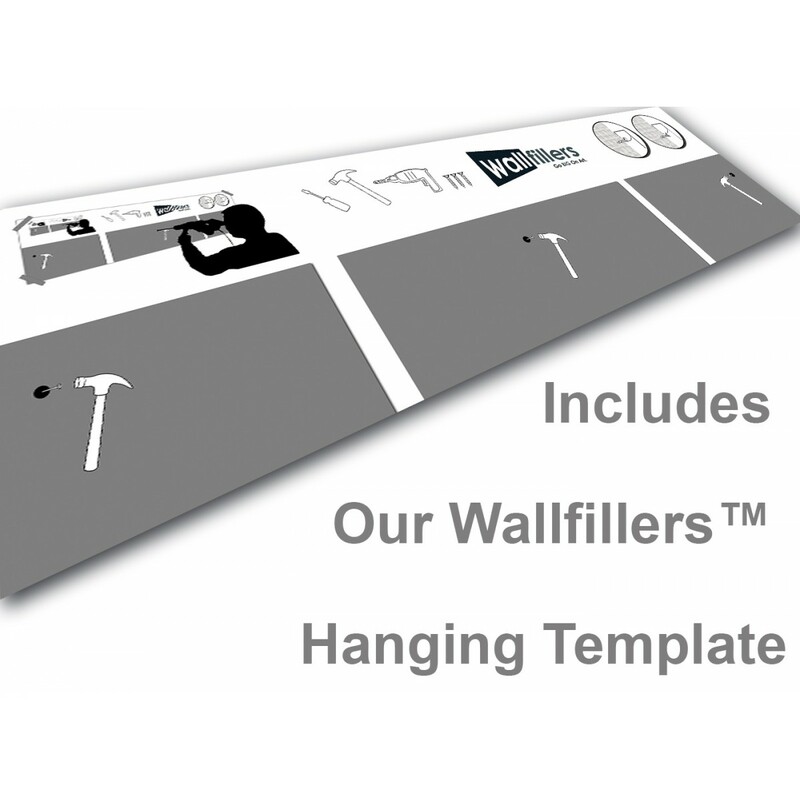 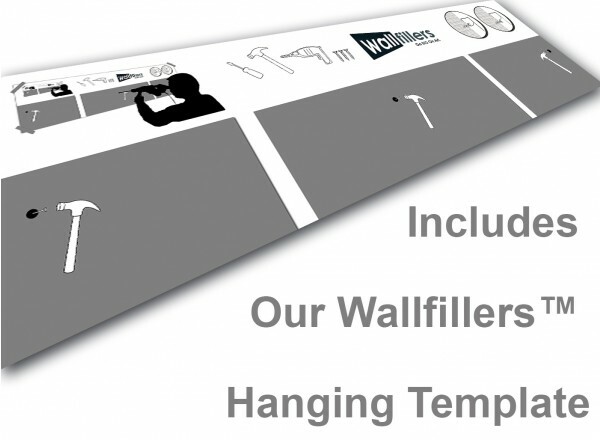 The UK's most reliable canvas framing company. 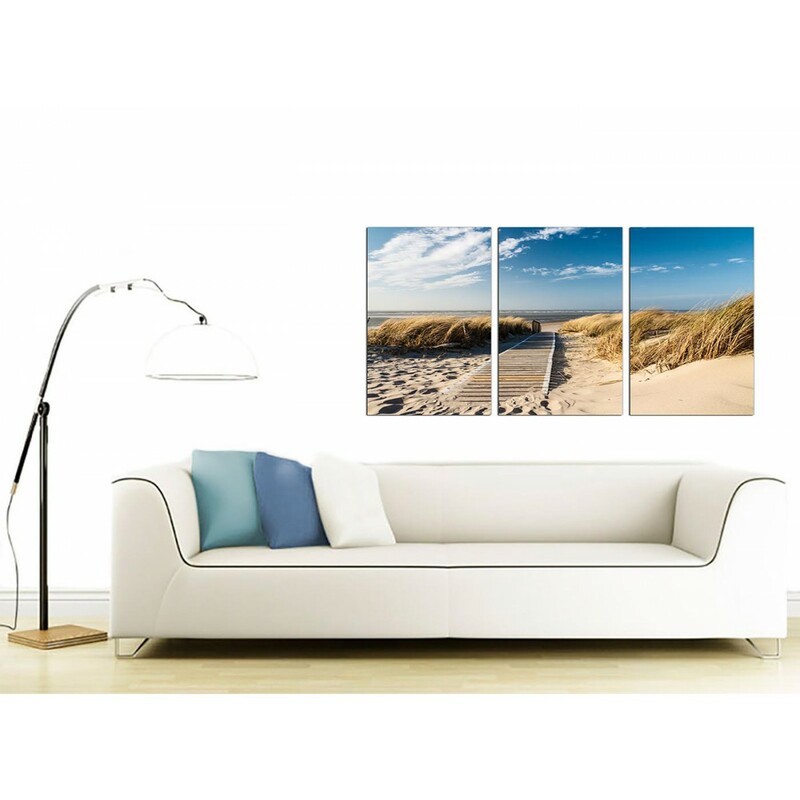 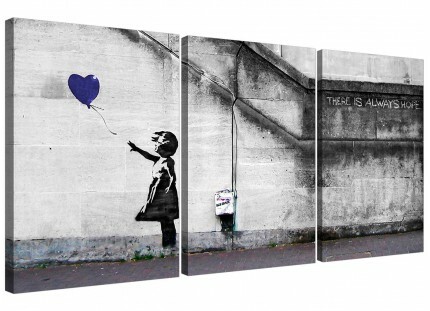 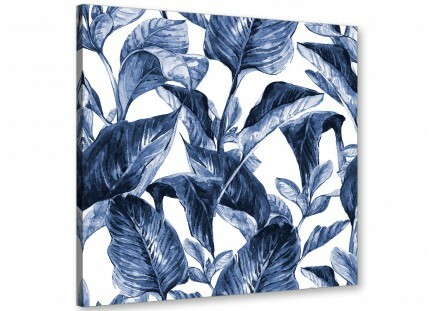 Our wall art is made to high standards with fade resistant inks. 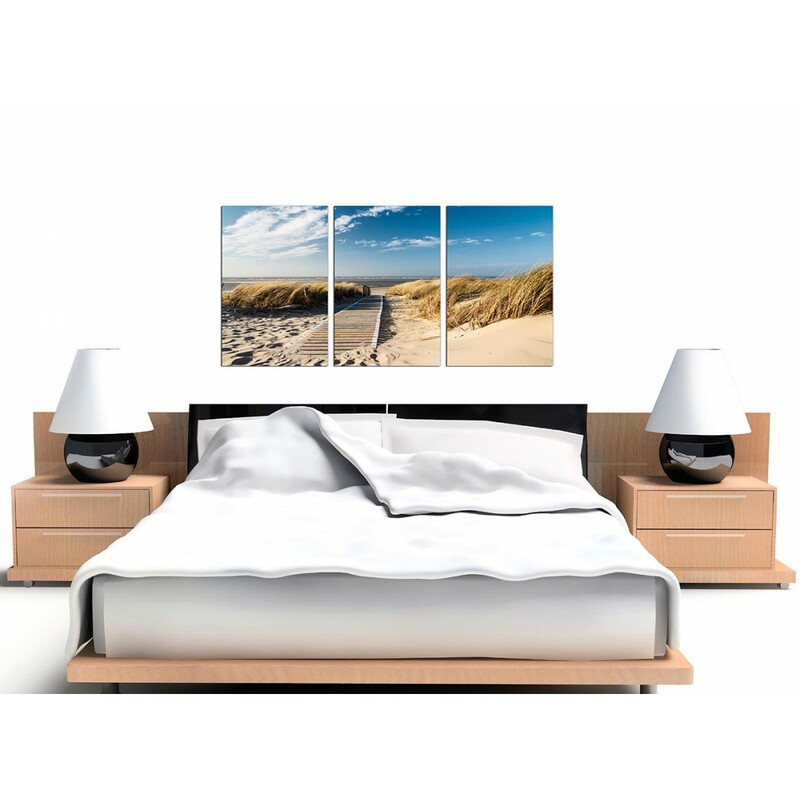 Suitable size for over your bed. 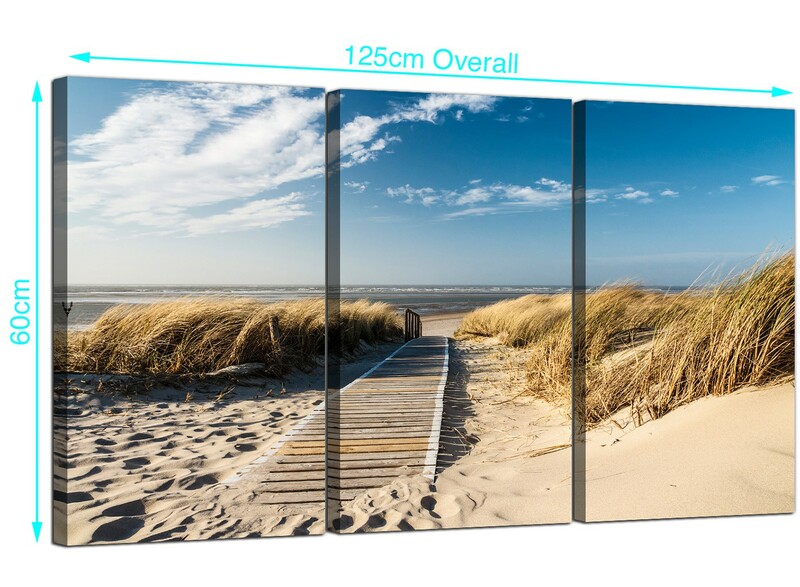 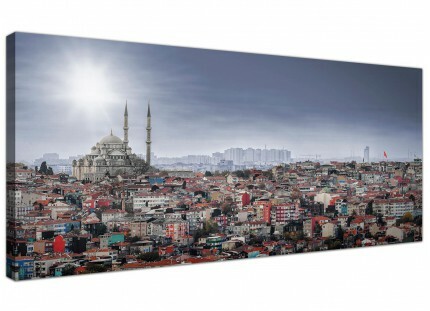 Measurements: 125 x 60cm inclusive of spaces. 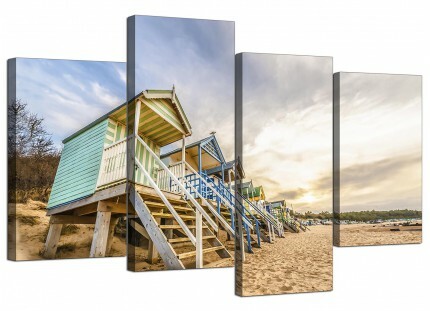 Each of the three pieces are 40cm wide x 60cm high. 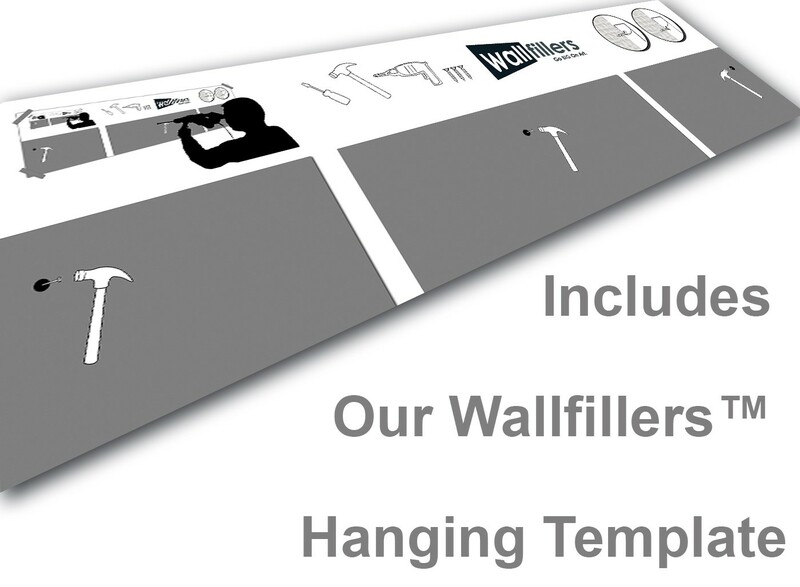 We suggest a gap of 2.5cm between each part.